A diagnostic hearing evaluation is the first step in determining your hearing capability. If you have a hearing loss, it will detail the extent, type, and specifics of your particular hearing loss. The diagnostic hearing evaluation will be performed by an audiologist using equipment called an audiometer. 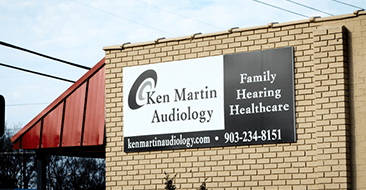 Before your appointment, a history will be completed and the audiologist will want to hear about any complaints you have about your hearing. He or she will pay special attention to any concerns you have about exposure to noise, tinnitus, and balance problems. Make sure that you take a full list of any medications and supplements you are taking with you to your appointment. The diagnostic hearing evaluation is a good chance to establish a relationship with your audiologist. It helps to ask around for recommendations to an actual audiologist in your area and find someone who listens carefully to your concerns. Above all, don't be afraid to ask questions. You will want to be clear on any information you receive so that you can be an active participant in finding hearing solutions that work best for you and your lifestyle.